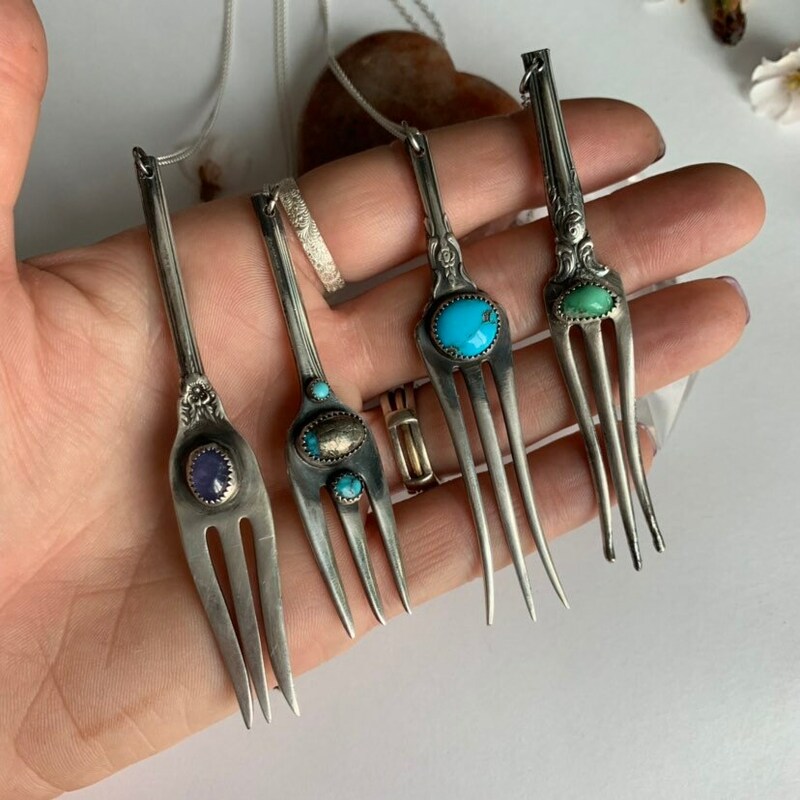 A beautiful upcycled antique sterling silver fork and Turquoise necklace. 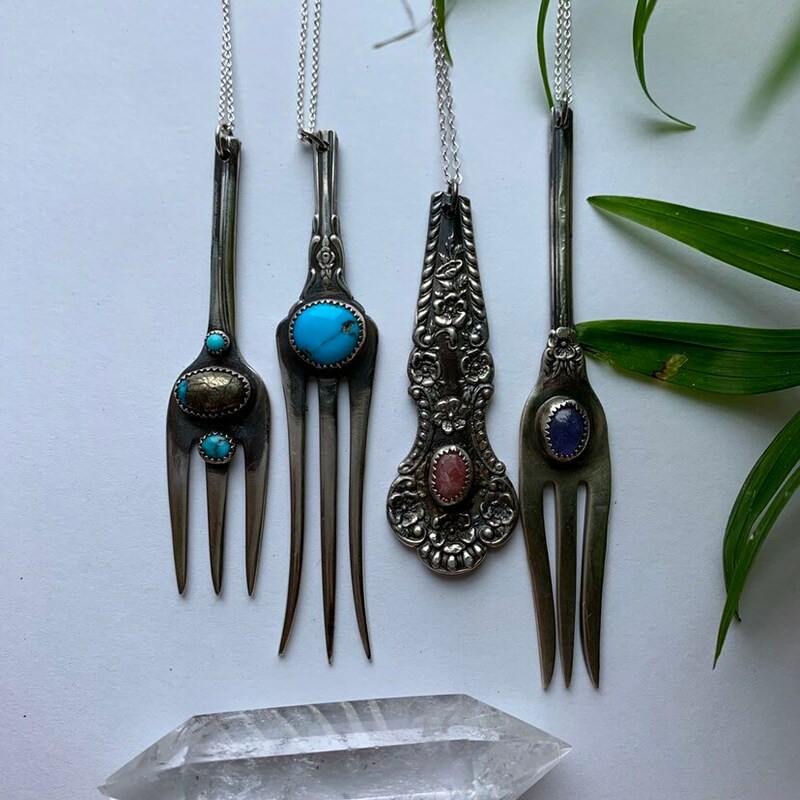 I used a vintage fork as a canvas for this beautiful Nevada blue Turquoise. 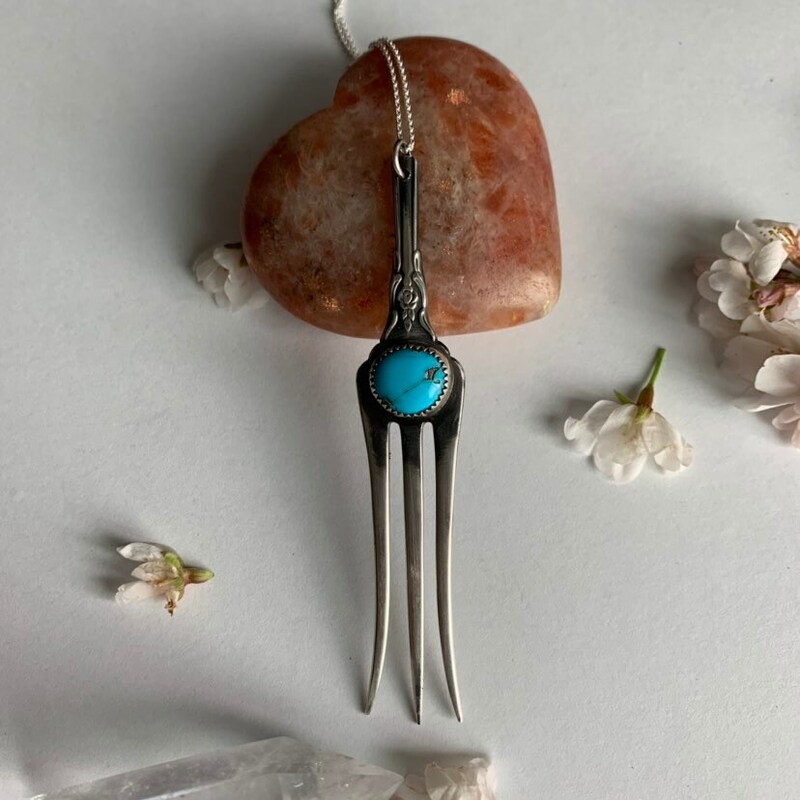 The Turquoise is set in sterling silver bezel. Natural bright blue pigmented Turquoise is known for its beautiful hues and stone matrices. There is a beautiful natural stone matrix river in the Turquoise I used for this piece. 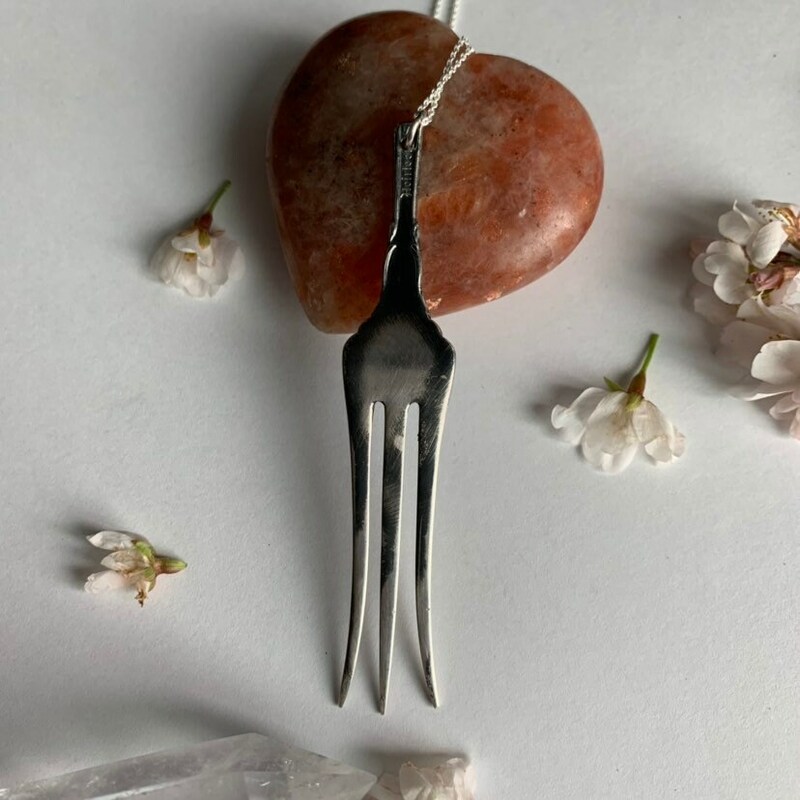 A small decorative flower rests above the stone giving this little pendant a romantic vibe.